Before I was into skateboarding, I, like many others from Clinton, IL, got into BMX. What began as a simple means of transportation became, like so so many other things I did back then, an obsession. I needed to be good at it, I wanted to be the best. Realistically, I was never really very good. I had too much fear at the time. I was decently fast, but what I really wanted to do was BMX Freestyle. I had a pretty sweet ride, a RedLine RL20 Prostyler. There was only one other one in town, and the owner was much older than I. Every time I had a bit of money, be it from a birthday, holiday or working the corn fields or paper route, I’d pour it into either my RL20 or my Predator that I built from frame up (more on that in a later post). Basically building and rebuilding bikes as we had resources. It was a great learning experience and a time I look back on fondly. A few of us tried it all, racing BMX, ramps, half pipes, freestyle, anything new and exciting. I was pretty mediocre at all of it. I certainly wasn’t as good as I though I should be. Regardless, most of the same folks from Clinton that later skated were into it. We all had our tricked out bikes. B.J. 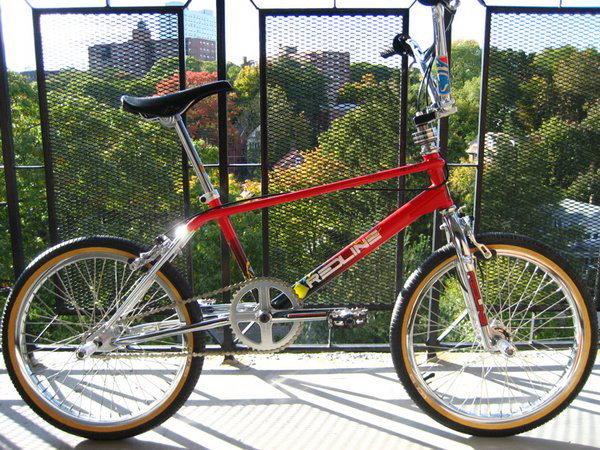 had a white predator for his main ride, I had the redline for my primary bike, Holt had his Mongoose, which was a Clinton legend; supposedly it had a $100 bill wrapped and stuffed in to the frame. The Mongoose was light and quick. It had been through so many other owners before Ryan. I believe that bike got dumped at the Redi-Mix in Clinton to rust. A shame, it really was a nice ride. We all went back and forth between Z-Rims, Aluminum rims and Mags. No one could keep their bike stock. It had to be tricked out. I’ve looked and looked and I have very few photos from those days, unfortunately. The mid 1980’s didn’t lend themselves to good style, certainly, so maybe that’s not a bad thing, but I’d still love to have something. Rummaging through an old box of skate stuff, I came across my old number plate. This was an indicator of pride and an outward display of a person’s uniqueness. I’d love to get some of our photos from back in those days. I know some exist, they just need to be found and scanned.